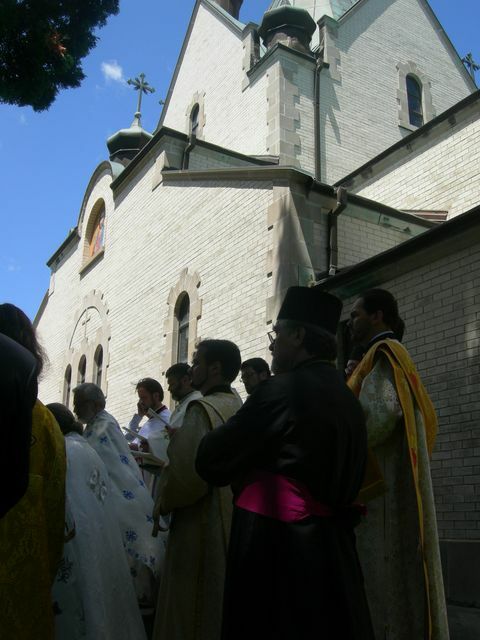 Libertyville - The 5th Annual St. Nikolaj of Ochrid-Zicha Pilgrimage was held on Sunday, July 13, 2008, at St. Sava Serbian Orthodox Monastery, in Libertyville, Illinois. 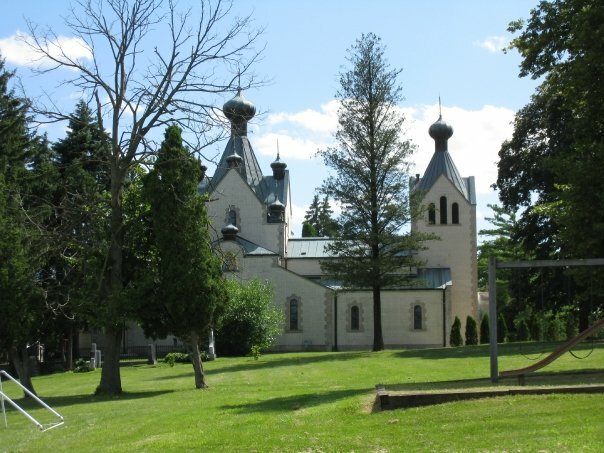 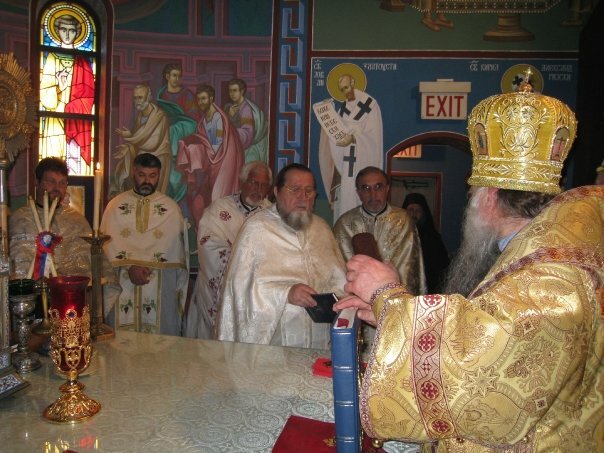 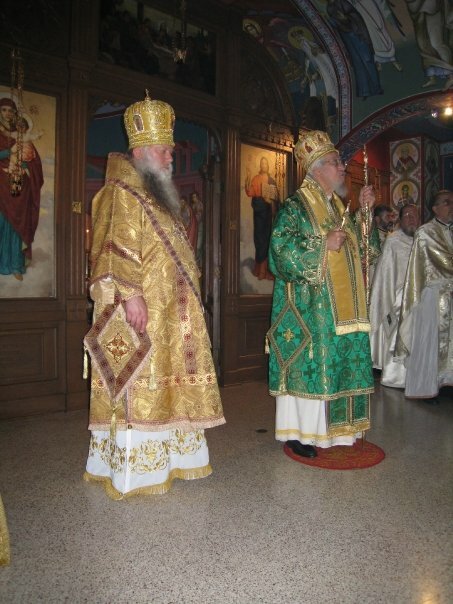 Hierarchical Divine Liturgy officiated by His Eminence Metropolitan Christopher and His Grace Bishop Peter of Cleveland of the Russian Orthodox Church Outside of Russia began at 10:00 A.M. Clergy from all parishes of the Midwestern Metropolitanate participated. 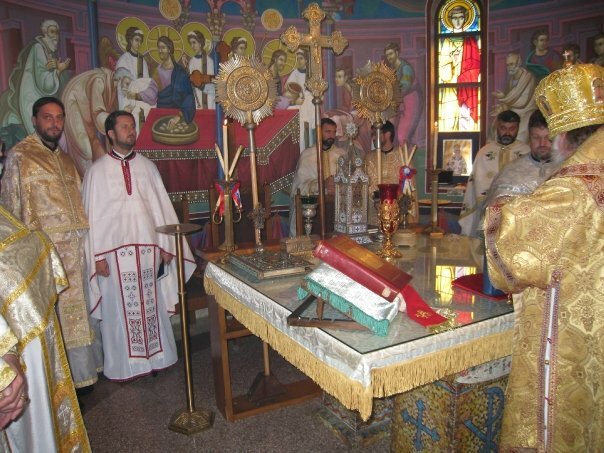 The guest homilist was Protojerej-Stravrophor Dragan Veleusic of St. Sava Cathedral, Milwaukee, Wisconsin, who eloquently spoke of the profound significance of this annual pilgrimage. 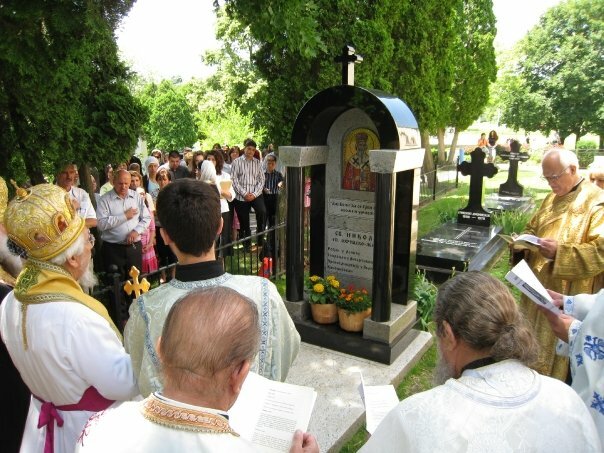 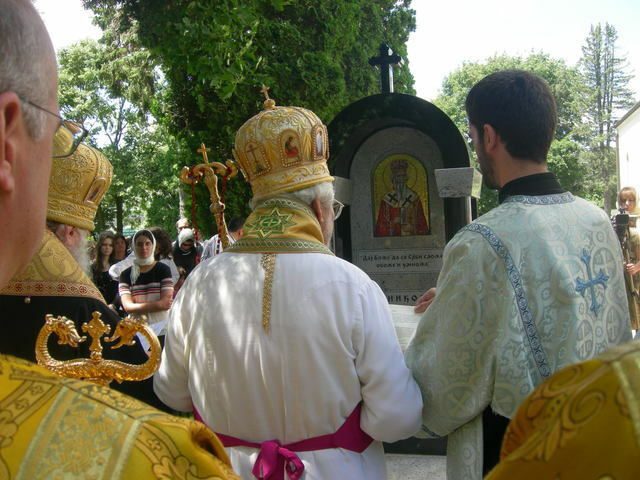 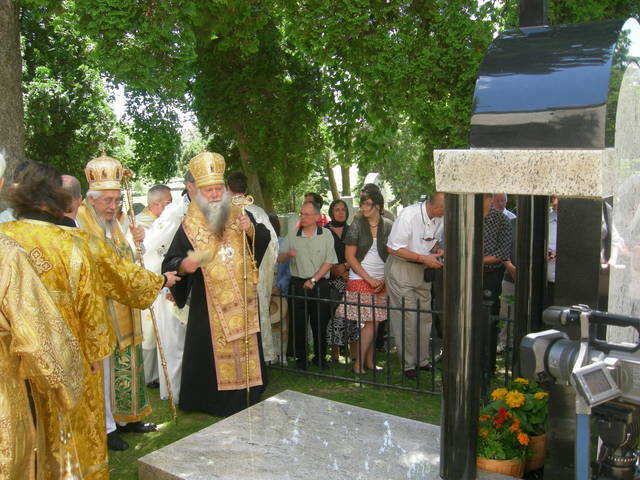 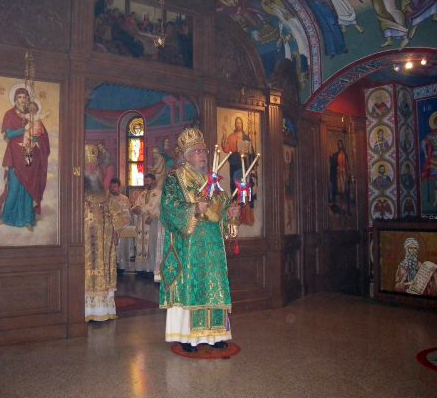 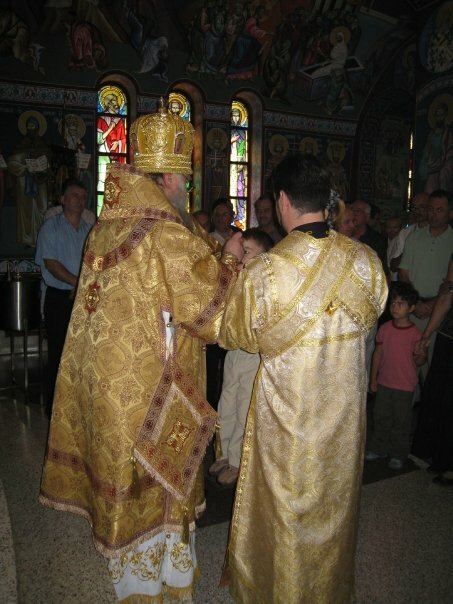 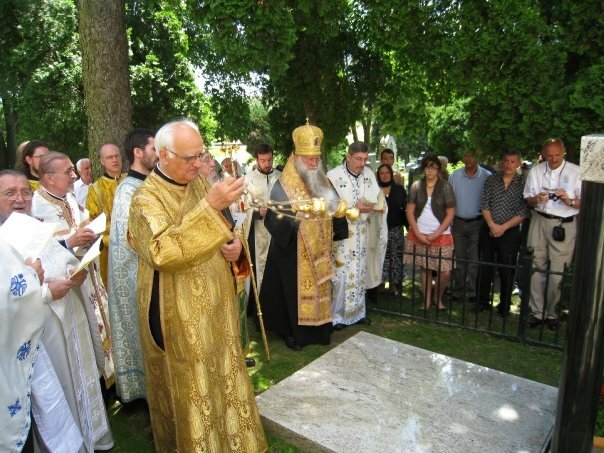 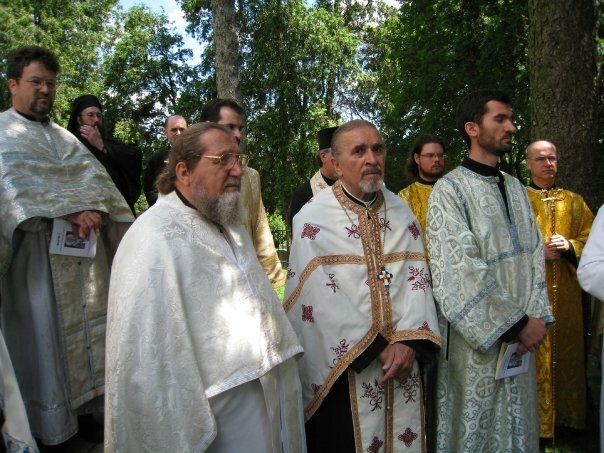 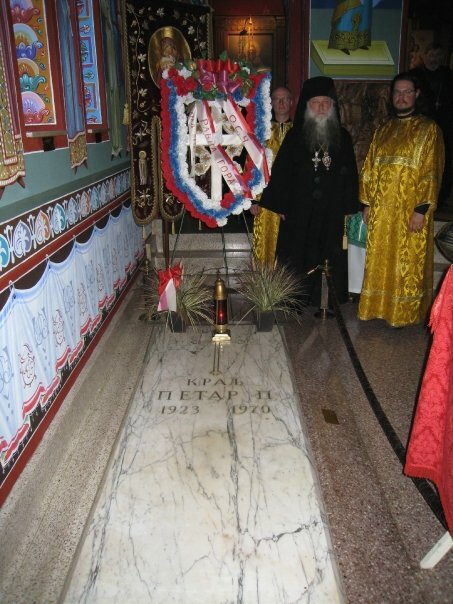 As scheduled, the Akathist Hymn to St. Nikolaj was prayerfully chanted by the Hierarchs and clergy at the place of St. Nikolaj's original grave site. 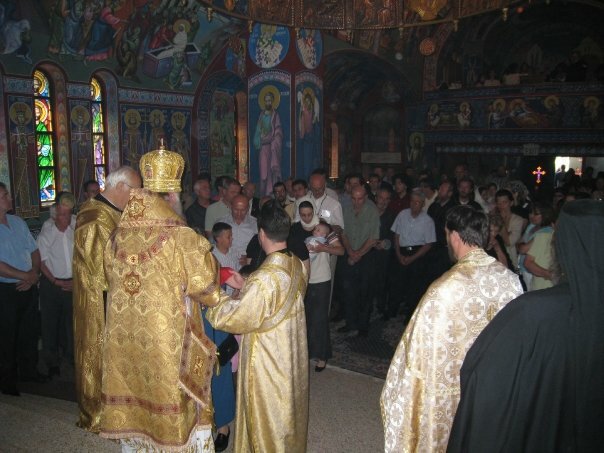 Responses were sung by the faithful. 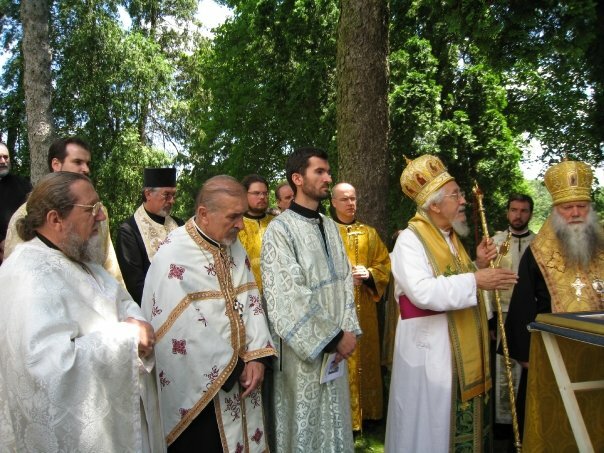 Following lunch at the Monastery Pavilion, the program quickly commenced with V. Rev. 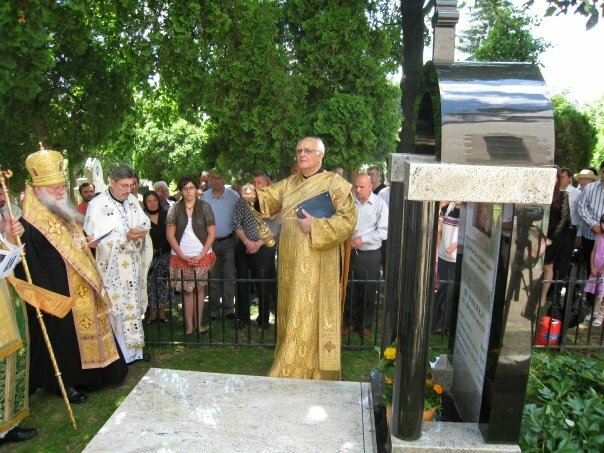 Dr. Milos Vesin as keynote speaker. 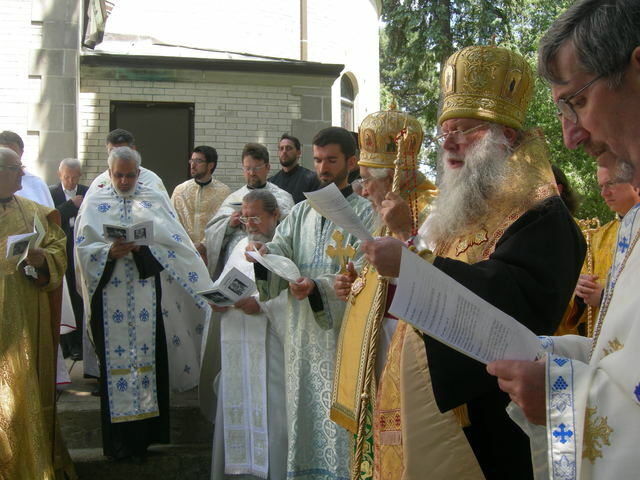 The entire program was spiritually uplifting, filled with varied and beautiful renditions of songs and poetic praise.